The Canon City area and the Royal Gorge are packed with attractions, recreation, scenery, and activities of all kinds. There are many nearby recreation parks and areas close by, none more spectacular than the thousand foot deep Royal Gorge and its famous bridge. Package Prices for Local Attractions are Coming This Week. All tickets and package pricing must be purchased through Royal View Campground Ticket Counter. Colorado Jeep Tours Each tour has its own unique scenery. Some tours take you along the rim of the famous Royal Gorge, while other tours explore the bright red monoliths that make up Red Canyon Park. Colorado Jeep Tours also can take you along the Gold Belt Tour through the late 1800’s mining districts of Cripple Creek and Victor. All of their tours are incredibly scenic and accommodate most ages and abilities. Whitewater Rafting - the Arkansas River is a world-class whitewater experience, both inside the Royal Gorge and in surrounding stretches. If you are looking for adventure, look no further; there are also tamer stretches of the river. Wao Rafting - located 1 mile west of Canon City. 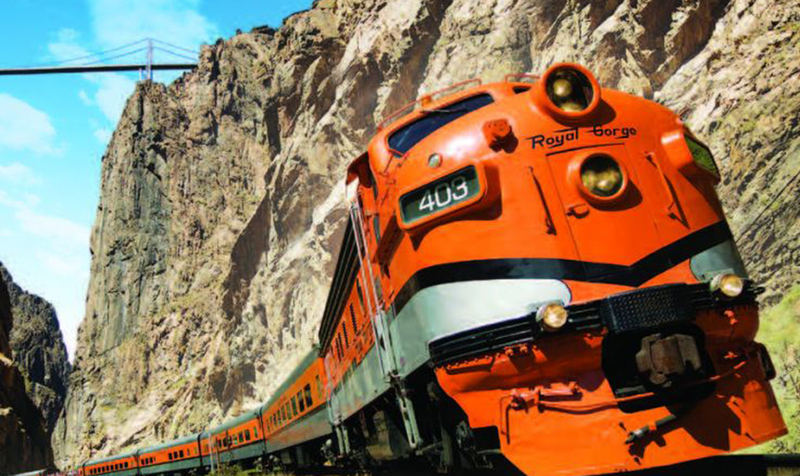 Royal Gorge Route - Climb aboard Colorado's most scenic train for a journey through the spectacular Royal Gorge. Since 1879, these tracks have followed the winding, tumbling Arkansas River deep within the soaring, 1,000-foot granite cliffs of Colorado's Royal Gorge. The Royal Gorge Route is a quality, Colorado attraction - no thrill rides or cotton candy, just a focus on outstanding service, delicious food, and unique classes of service. 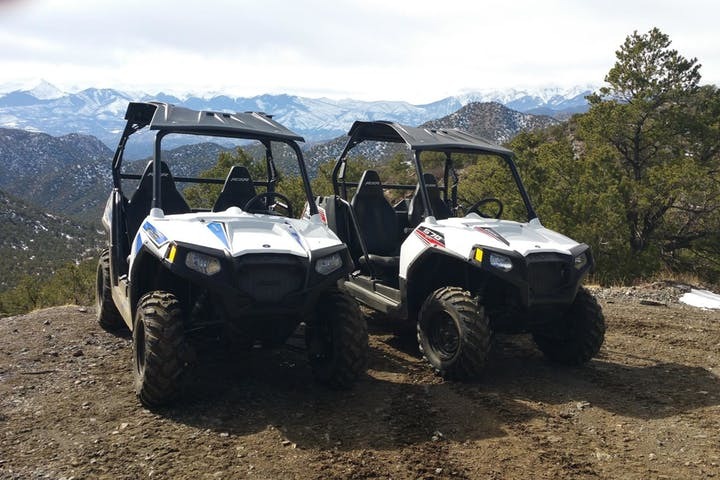 ATV Tours - Play Dirty tours start out at 6,400 ft. elevation, in the beautiful Arkansas River valley, also known as the Bighorn Sheep Canyon. They have a variety of packages to fit your needs. Royal Gorge Bridge & Park - the world famous Royal Gorge Park was damaged during the recent Royal Gorge Fire on June10. The bridge is still intact and we marvel at its beauty every day from our campground. We will update the status and reopening of the bridge as we gain that information.